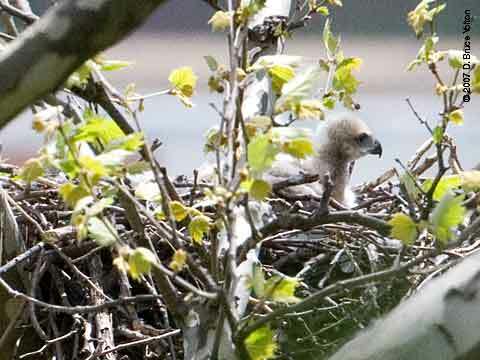 Views of the Highbridge nest are disappearing as the trees leaf out. 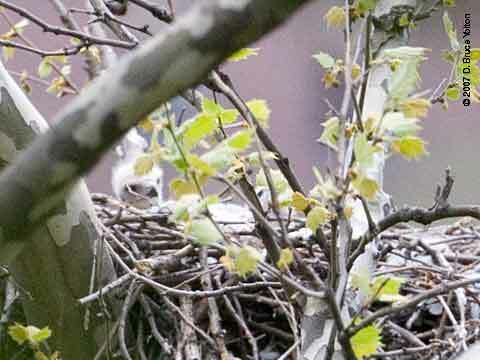 I almost slid down the steep hill near the nest taking these obscured shots. Both parents were off the nest as I took these pictures. These may have to be my last pictures of the Highbridge nest this year.